“Now there’s a new manager and I hope to get another chance, but first I have to concentrate on Barca,” the young defender said. 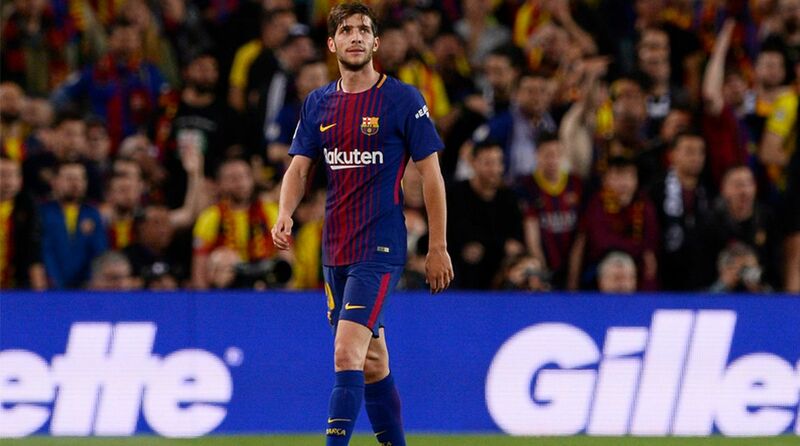 Defender Sergi Roberto said he was happy about his pre-season work but acknowledged that he had hoped to play in the recently-concluded FIFA World Cup in Russia. “I really thought I’d be in the World Cup, but in the end all I could do was enjoy my vacation and watch it on television,” the FC Barcelona defender said Monday, referring to the decision made by former Spanish national team coach Julen Lopetegui not to add him to the roster, reports Efe. Roberto said the “disappointment” of Russia has not dashed his dream of rejoining the national team, nor did he hide his enthusiasm at Luis Enrique’s arrival to lead the squad and the possibility of being called up once more. “For me, Luis has been very important, both in the Barca B stage, where he had me debut when I was a youngster, and on the first team, where I got stronger, though not yet where I am today,” Roberto said. On FC Barcelona’s tour of the United States, the absence of big stars like the Argentine Lionel Messi and the Uruguayan Luis Suarez makes it not quite the team it normally is and somewhat less exciting to its fans, but the defender recalled that they are there also to play their best game. “We’re here for people to enjoy themselves, but also to train for what’s coming in the new season,” Roberto said.